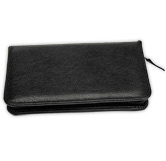 Sick of the stares and sighs you get when you whip out your checkbook at the grocery store? 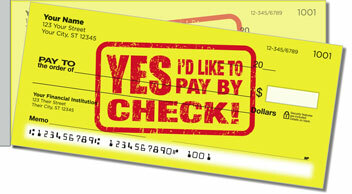 Use these checks to add a bit of a sarcastic comeback to your payment method of choice. Each of the four funny designs in this set feature a phrase that defends your freedom to pay however you want. 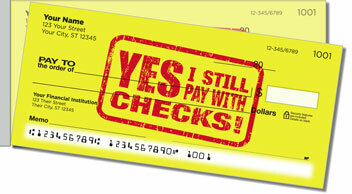 No checks accepted? You think that's a bunch of baloney - and we agree. The nice thing about these particular checks is the shorter side perforation. That allows you to pull them from the pad with less accidental ripping. 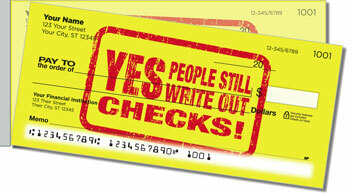 Get your very own Check Writer Side Tear Checks now! 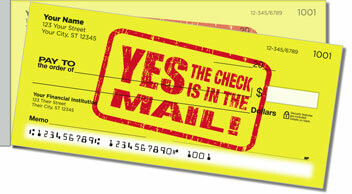 Also available from CheckAdvantage - matching mailing labels.